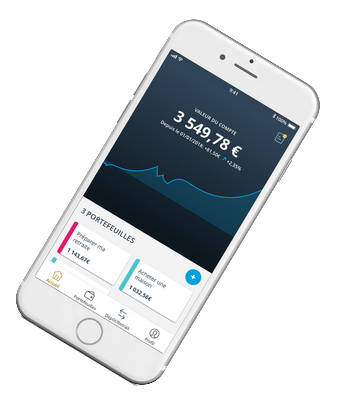 Ten years after their creation as a spin-off from the University of Liège, Gambit Financial Solutions‘ robo-advisor, Birdee has taken off. Its objective: to give the general public all the keys to be able to easily invest. Its acquisition by the BNP Paribas group in 2017 shows just how relevant this fintech is. Having officially been founded in 2017 in the middle of the Fintech boom, Birdee actually really took off a decade or so earlier. The company is, in fact, a direct emanation of Gambit Financial Solutions, a spin-off of the HEC Management School at the University of Liège, and was created by a handful of scientists in 2007 to specialise in the consultancy and publishing of investment support software programs. The solutions offered by Gambit were based on a series of calculation algorithms that are continuously being improved as a result of scientific research and primarily appealed to banks and asset management firms. The company started to grow on an international scale as of 2012, rolling out its expertise beyond the Belgian borders. Some twenty five financial establishments are using its software and services (including Neuflize OBC in France, Intesa SanPaolo Bank in Luxembourg, Pictet in Switzerland and Beobank and Nagelmakers in Belgium). Then a major French banking group decided to purchase its digital investment consultancy solution for its entire branch network in 2016. Under the impetus of CEO Geoffroy de Schrevel, who has been with the company since 2009, the Birdee project was launched in 2015, driven by a million-euro fundraising campaign. This online savings management solution was designed to meet new consumer expectations and offers a private banking service for investors, regardless of their assets. This robo-advisor-type software was initially developed with financial institutions, including online banks, in mind. Keytrade, for example, was the first organisation in Luxembourg to use this ‘Birdee Institutional’ version. A B2C version known as Birdee Money Experts was designed to provide direct support for individual investors has since been launched. “We wanted to make discretionary management more widespread in order to make it accessible to as many people as possible”, Geoffroy de Schrevel explains. The initial investment required by the investor/user is set at €1,000 and they are given a choice of 17 different portfolios. Whilst decision-making support is based on a series of algorithms, depending on the investor’s objectives and their risk profile, which will have been identified beforehand, the human element is still an important part of the process. Thus, a ‘real’ investment committee consisting of 7 members constantly screens new financial products added to the portfolios, verifies the relevance of the factors involved and ensures that the algorithms are performing as they should. Birdee also relies on a strategic committee made up of some of the big names in the Belgian and Luxembourgish financial spheres. In June 2016, Birdee won first prize in the Belgian edition of the BNP International Hackathon in the ‘Artificial Intelligence and Robo-Advisors’ category, before going on to take first prize at the international final of the Hackathon, which brought together award-winning start-ups from 7 other world capitals (San Francisco, London, Paris, Rome, Berlin, Warsaw and Istanbul), six months later. The solution was also one of the 10 finalists in the first edition of the Fintech Awards organised by KPMG Luxembourg in 2016 and one of the companies nominated for the Startups.be Tech Startup Day Awards (in the Disruptive Innovation of the Year category). For the purposes of the “ease and clarity of the approval process”, Birdee was established in Luxembourg in 2016 and aims to have 60,000 B2C clients and around twenty financial partner institutions under its belt within 3 to 5 years. It is also monitored by the financial regulatory authorities Commission de Surveillance du Secteur Financier (CSSF) and the Commissariat aux Assurances. BNP Paribas Asset Management immediately acquired a majority equity share in Gambit Financial Solutions and the company became the BNP Paribas Group’s partner of choice for robo-advisory solutions for its retail and private banking networks whilst at the same time maintaining its independence.